This restaurant in Lahug, Cebu City is fast becoming the favorite place of buffet lovers. 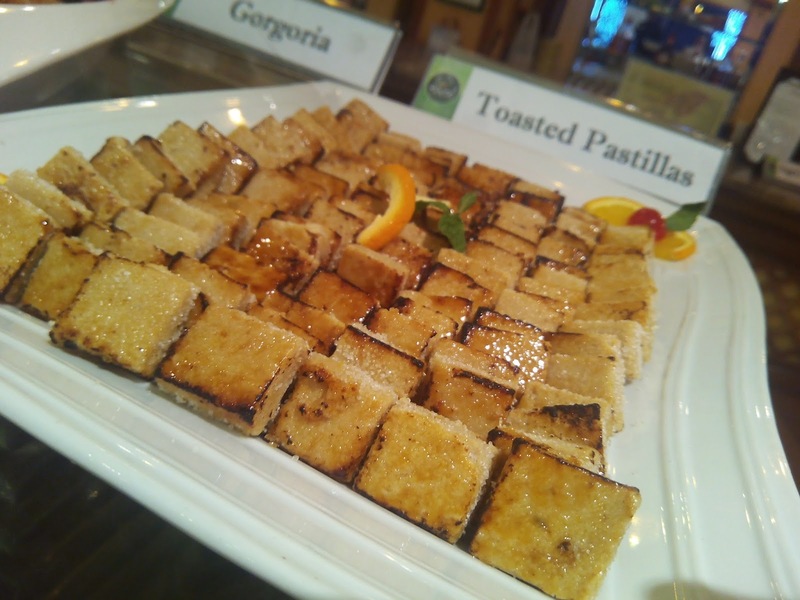 Pino, which means "fine," offers diners an elegant buffet experience. My friend and her sister are celebrating a joint-birthday dinner and since they haven't tried the place yet, they immediately made reservation for the whole family, including me. 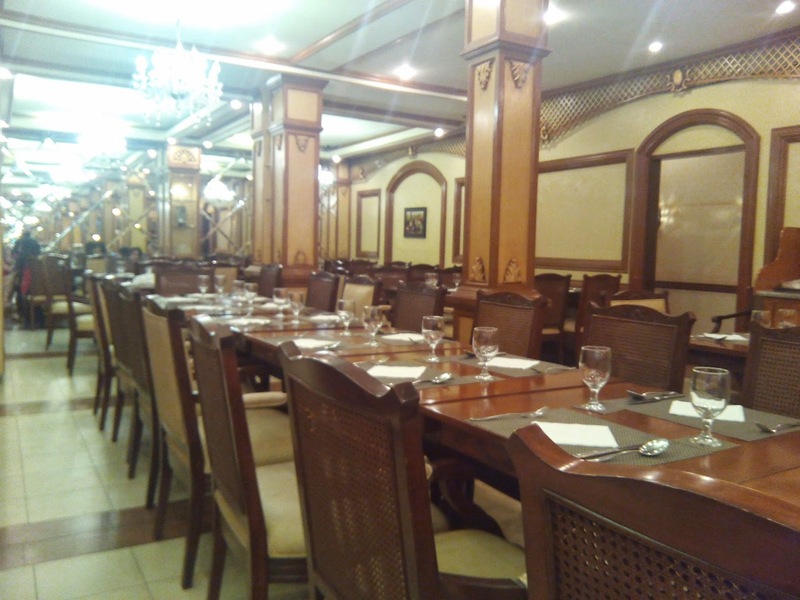 Dinner buffet costs P399.00 only. Wow! We also got lucky because according to one of the owners, they are offering new dishes for the buffet menu. Alugbati and Danggit Salad. I was apprensive at first to try this but had a plate when my friend's mom commented that its delicious. 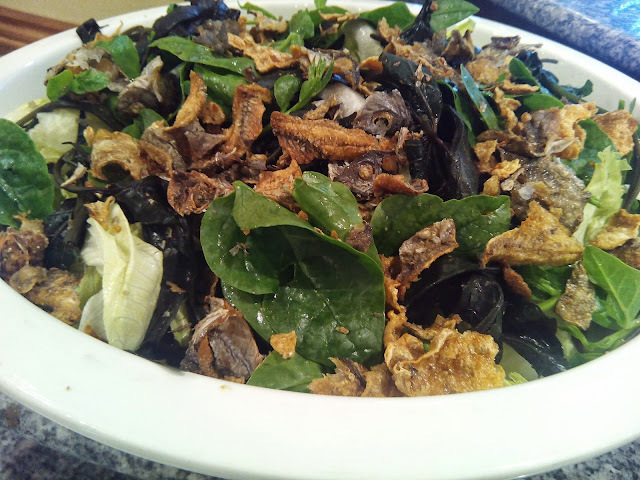 Aside from the alugbati, it also has kamote tops and some crispy chips which I can't seem to identify. Dressing was citrus vinaigrette. 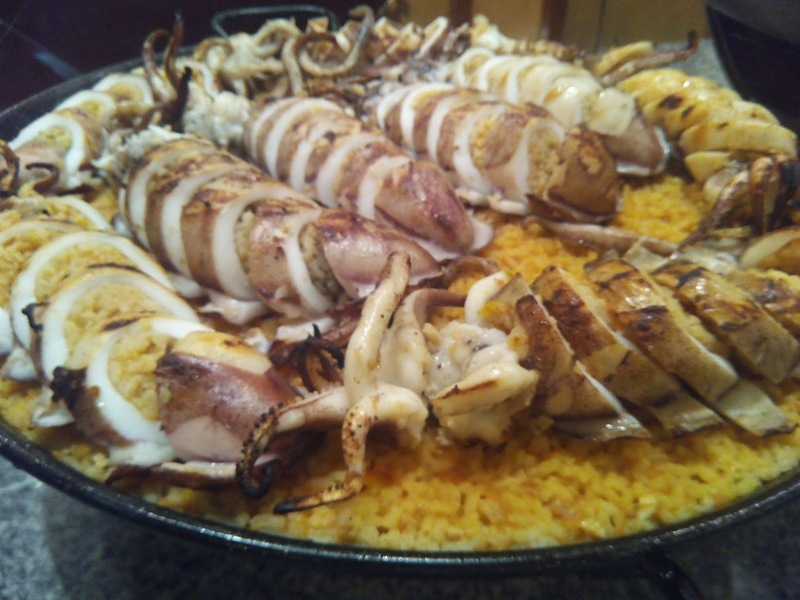 Stuffed Squid With Paella. OMG! The squid was fresh and cooked perfectly, not rubbery. Of course, I skipped eating the paella (rice). I'm pretty sure it tasted great. 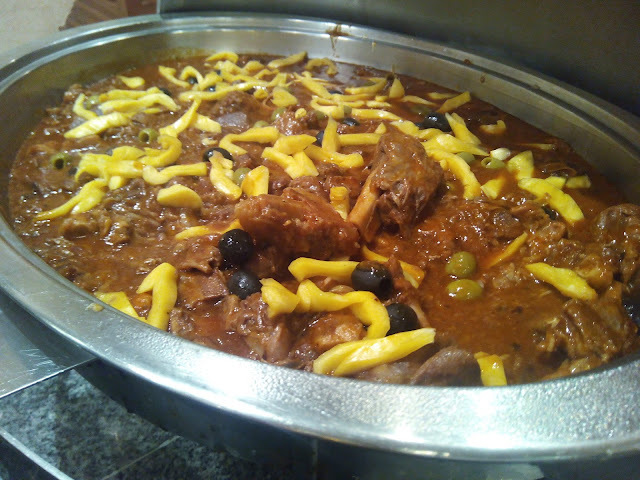 Lamb Caldereta. This made my heart sing. The lamb was so tender and flavorful. I had 3 servings. Oh my! Very tender and flavorful. Rice Please! Hahaha. There are a lot of choices from the buffet but I don't want to spoil the fun of discovering it yourself. 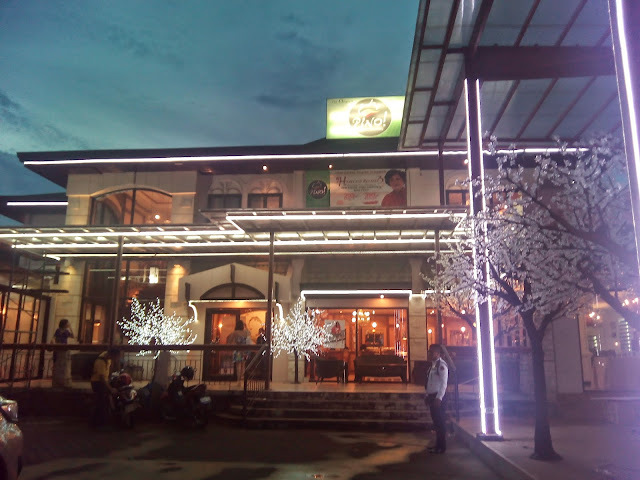 All I can say is- this is a must-try buffet restaurant when in Cebu.